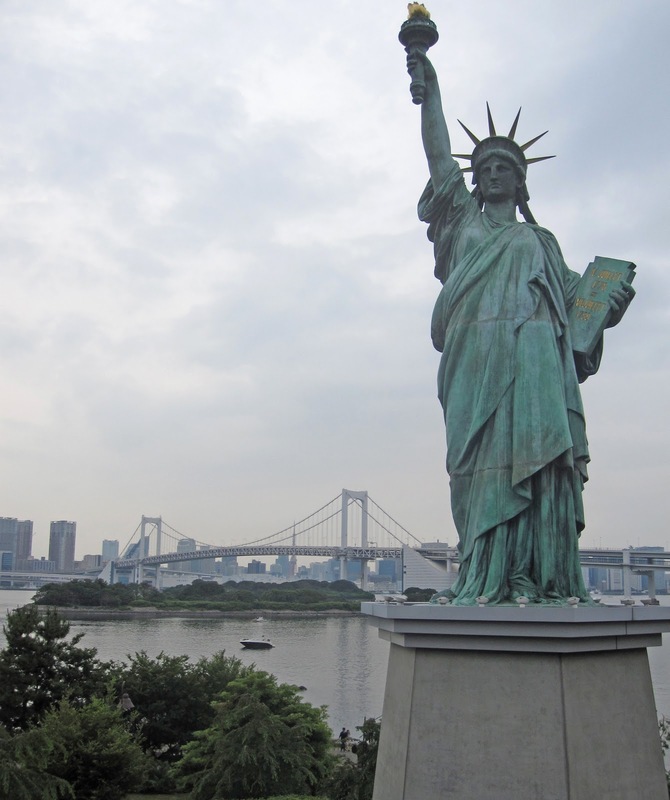 I've included several photo's of Tokyo's Rainbow bridge in the past, but this is the first time that I've included the Statue of Liberty. I went to Odaiba in Tokyo Bay to buy a ticket for the ferry that goes up the Arakawa River. However, the concessionaire told me that the Arakawa was too rough for the ferry at this time. The trip wasn't a complete waste of time because I found the Statue of Liberty (with her back to the Rainbow Bridge). Japan's Bridges: Rainbow Bridge across Tokyo Bay by Mark Yashinsky is licensed under a Creative Commons Attribution-NonCommercial-NoDerivs 3.0 Unported License.